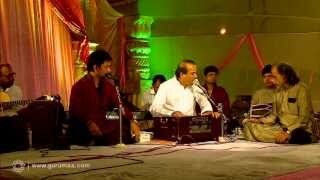 It was the occasion of Sanyas Diwas (2012) of revered master Anandmurti Gurumaa wherein Suresh Wadkar gave this spellbinding performance at Rishi Chaitanya Ashram. His enthralling rendition created an amazing ambiance of reverence and celebration, deeply moving one and all, showering bliss and ecstasy. It is an outpouring of heartfelt gratitude for the master who embodies the supreme being, the ultimate truth, the pinnacle of conscious evolution. Indeed so true it is that words fall short in expressing gratefulness for the benevolent master who guides one from the shackles of ignorance to the freedom of awakening. 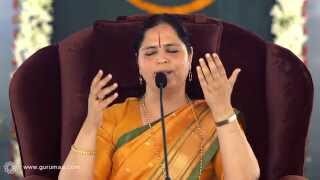 Rejoice as you watch & listen to this musical offering in the lotus feet of the master.